Job’s tears dehulling and separating equipment is our company’s patented product with independent intellectual property. It’s an original technology, which can be used to size, dehull and separate your job’s tears, and meanwhile the un-hulled seeds will go back to dehullers for re-hulling automatically. It features easy adjustment to the dehulling clearance of the dehullers, high production efficiency, and high percentage of whole kernels. Meantime, the mixtures of shells, seeds and kernels after dehulling, we adopt vibrating negative-pressure separator screening the shells out and spiral discharging for shells-discharge properly. All the key technologies have already applied for national invention patent and a patent for utility model. Furthermore the separating screen equipped with cleaning device of screen surface, it features easy operation, high degree of automation, safe and reliable, beautiful and durable and extensive application. 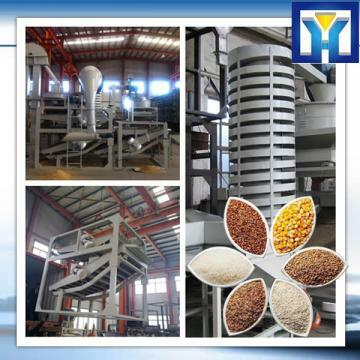 Dehulling & Separating unit: consists of input hopper, elevator, dehullers and electric control cabinet. job's tears dehulling&separating equipment tfym400 from shandong microwave machinery co.,ltd. job's tears dehulling&separating equipment TFYM400, can be used to break various kinds of oil crops and the cake has been broken. Shandong Microwave Machinery Co.,Ltd.is a seed dehulling machine factory specializing in the production of job's tears dehulling&separating equipment TFYM400, scientific research,manufacturing,installation, commissioning.Shandong Microwave Machinery Co.,Ltd.can provide seed dehulling machinecustomers with design and services of 1-2000 tons job's tears dehulling&separating equipment TFYM400. Shandong Microwave Machinery Co.,Ltd. have finished hundreds of successful projects seed dehulling machineover the years: peanut oil, soybean oil, rapeseed oil, cottonseed oil, sunflower oil, sesame oil, animal oil,grape seed oil, acer truncatum oil, peony seed oil, walnut oil, hemp seed oil, pine oil, tea seed oil, papaya oil, milk thistle seed, and other special type seed dehulling machineoil. Shandong Microwave Machinery Co.,Ltd. have independent import and export department. Shandong Microwave Machinery Co.,Ltd. seed dehulling machineequipment has been successfully exported to more than ten countries: Russia, Australia, India, Afghanistan, Cameroon,and so on.